20 – Age of Tom Lewis, an amateur from Welwyn Garden City, who shot a five-under par round of 65 to share the first round lead at the Open Championship with Thomas Björn. It was the lowest total recorded by an amateur in the history of the tournament. 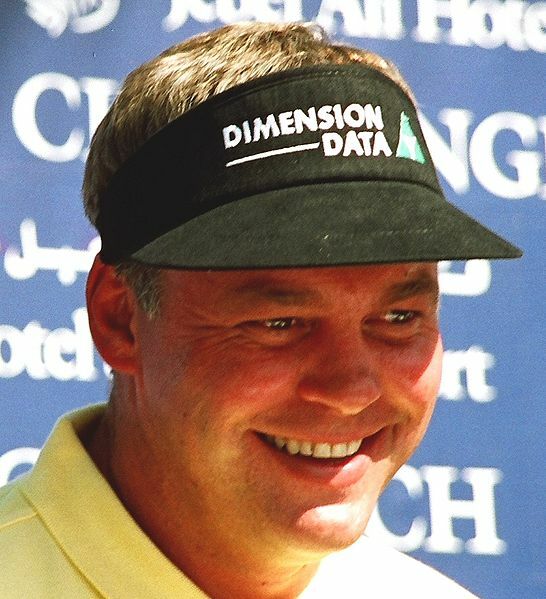 42 – At 42 years 337 days Darren Clarke won the Open to become the oldest player to win a major championship since Ben Crenshaw at the 1995 Masters (43 years 88 days). 20 – Clarke‘s first Open win came at his 20th appearance in the tournament. No other golfer had previously won their first Open after their 15th attempt. 184 – Alex Hales hit a career-best 184 in Nottinghamshire’s County Championship draw with Somerset. 6 – Runs conceded by Durham’s Paul Collingwood as he took five wickets in helping to bowl out Northamptonshire for just 47 in their Twenty20 encounter. 59 – Balls taken by Murray Goodwin to score an unbeaten 100 in Sussex’s 11-run Twenty20 win over Surrey. 5 – Number of North Korean footballers who tested positive for steroids at the Women’s World Cup. 1 – Japan defeated the USA in a penalty shoot-out to win their first women’s World Cup after twice coming from behind late in normal and extra time to equalise. Aya Miyama equalised in the 81st minute to send the game to extra time, while Homare Sawa scored in the 117th minute to force the climactic shoot-out. 1 – Samoa stunned Australia 32-23 in Sydney to claim their first ever rugby union test win over the Wallabies. They had lost all four previous meetings by a combined score of 181-26. 14 – André Greipel became the 14th active rider (and only German) to win a stage at all three Grand Tours as he won stage ten of the Tour de France in Carmaux. 3 – Mark Cavendish won stage 11 in Lavaur. 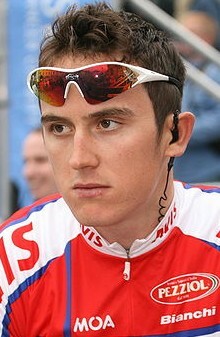 It is the third consecutive year in which he has won the 11th stage at the Tour. 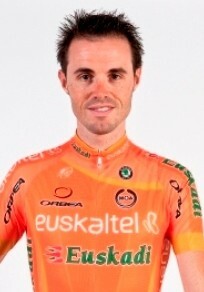 10 – Euskaltel-Euskadi‘s Samuel Sánchez claimed his first ever Tour stage – and only his team’s fourth ever – on Luz-Ardiden on stage 12. The victory came ten years after Roberto Laiseka recorded the team’s maiden victory – which came on the same mountain. 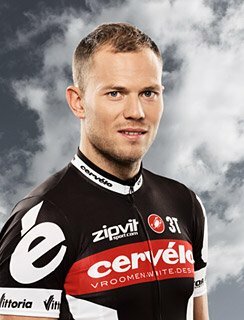 2 – Thor Hushovd became only the second reigning road race world champion in 30 years to win a Tour stage when he was victorious on stage 13 in Lourdes. Óscar Freire also achieved the feat in 2002. 19 – In winning stage 15 in Montpellier, Mark Cavendish handed the Isle of Man its 19th Tour stage win, surpassing the totals of both England and Denmark (both 18). All 19 victories have been recorded by Cavendish himself. 4 – It was also Cavendish‘s fourth stage win this year. He became only the second rider ever (after Eddy Merckx) to win four or more stages in four consecutive years at the Tour. 11 – Of the 14 individual stages so far (excluding the team time trial), there have been 11 different winners. Cavendish is the only multiple winner. 8 – Only eight of the 22 competing teams have won stages so far. HTC-Highroad have won four (all Cavendish), Omega Pharma-Lotto (Gilbert, Greipel, Vanendert) and Garmin-Cervélo (Farrar, Hushovd, team time trial) three each. 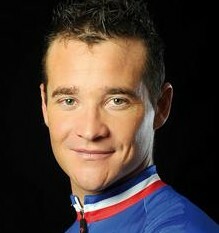 7 – Days in the yellow jersey (so far) for Thomas Voeckler. In 2004, he spent ten days in yellow. As the remaining 170 riders in the Tour de France enjoy the second and final rest day today ahead of the final six stages, here are a few personal thoughts on who the big winners and losers have been during the middle stanza of the race. Having gained the yellow jersey on the final stage before the first rest day, no one would have thought any less of Europcar’s team leader if he had relinquished the overall lead the moment the race reached the Pyrenees. But, just as he did in 2004 when a courageous performance on the climb to Plateau de Beille enabled him to retain the maillot jaune for ten days, a similarly brave ride up the same mountain guaranteed him a seventh day in yellow on Tuesday which, in all probability, will continue at least until Thursday’s finish atop the Galibier. By a quirk of coincidence, Voeckler went into the first rest day with a lead of 1:49 over Luis-León Sánchez, and will resume with an identical lead over Fränk Schleck. Hanging on to the jersey is unrealistic. However, a hugely creditable top ten finish is certainly within the reach of one of the most-loved riders in the peloton. The reigning world champion was already one of week one’s big winners, but having already spent a week in yellow he added his primary objective of a stage victory in the most unlikely of places, on a Pyrenean mountain stage to Lourdes. A sprinter simply should not be able to win the way he did, powering up the Col d’Aubisque and hunting down long-time leader Jérémy Roy in the final couple of kilometres to claim his ninth career Tour win. With a move away from Garmin-Cervélo rumoured at the end of the season, it will do his value in cycling’s transfer market no harm whatsoever. Not many riders can boast the rainbow and yellow jerseys and a Tour de France stage win within the space of 12 months, and several teams will no doubt jump at the opportunity to benefit from the Norwegian’s speed, strength and experience. 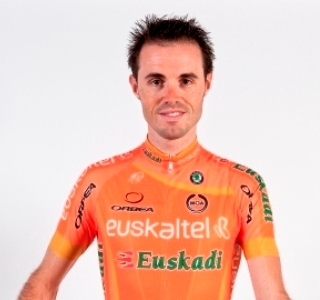 Amazingly the reigning Olympic champion, despite being one of the peloton’s finest attacking climbers in a Euskaltel-Euskadi team full of mountain specialists, had never won a Tour stage before this year. However, he rectified that gap on his palmarès with a fine win at Luz-Ardiden, fittingly ten years after Roberto Laiseka became the orange-clad team’s first Tour winner on the same mountain. Sánchez also broke free of the pack to claim second on Saturday’s stage to Plateau de Beille. In doing so, he became the only GC contender to make significant time gains this week, rising from 20th, 5:01 behind Voeckler, to sixth at 3:44. It gives him every chance of repeating his top four finish from last year, and also moved him into second in the polka dot jersey competition. Thomas has slipped to tenth in the white jersey rankings and 42nd overall, 35:27 behind Voeckler’s overall lead. But mere numbers do not indicate the extent to which the Welshman has grown during this race. He has been an impressive fixture on lead-out duties at the sharp end of sprint finishes, only to be somewhat let down by Sky’s duo of Edvald Boasson Hagen and Ben Swift. And he was in good form in the lead break over the Col du Tourmalet despite a couple of awkward crashes before succumbing to the peloton in the closing kilometres of Luz-Ardiden. Having expanded his burgeoning reputation at this Tour, Thomas is now approaching a crossroads in his road career. Does he want to develop into a super-domestique in the mould of, say, Jens Voigt, or perhaps a top lead-out man, possibly for Mark Cavendish if the rumours of his signing for Sky turn out to be true? Or will he prefer to move elsewhere to further his own ambitions? In so far that an inanimate object can be considered a ‘winner’, the yellow jersey itself has been greatly honoured in this race. In previous years where the race has opened up with a short prologue and then a series of flat stages with time bonuses, the jersey has been passed around from sprinter to sprinter seemingly willy-nilly during the opening week. This year, however, it has been worn by only three riders in 15 days: Philippe Gilbert, the king of the one-day classics, world champion Thor Hushovd and Thomas Voeckler, the two-time French champion and a man whose career is inextricably intertwined with his ten-day spell in the race lead in 2004. That’s quite a roll-call, and I can only hope that the next wearer of the maillot jaune turns out to be a champion worthy of both the name and the fabled item of clothing he will pull on to signify it. 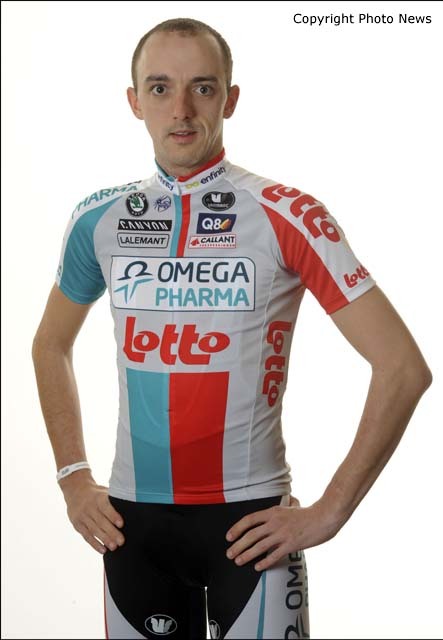 Despite the loss of their top GC contender Jurgen Van Den Broeck in the first week and being reduced to six riders, Omega Pharma-Lotto are arguably the most successful team in the race so far. In Philippe Gilbert, André Greipel and Jelle Vanendert they have had three separate stage winners – in each case, their first Tour wins. Gilbert has been a swashbuckling presence throughout the race, constantly attacking and wearing each of the three major jerseys – yellow, green and polka dots – in the opening week of the race. 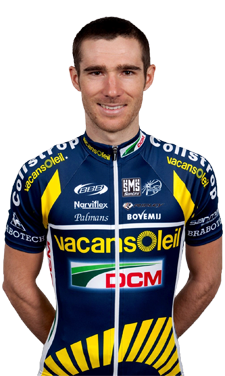 Vanendert is the current occupant of the climbers’ jersey, has moved up to 20th overall and is certainly capable of improving on that position by the finish. And Gilbert and Greipel are third and fifth in the green jersey standings, with the former still capable of challenging Mark Cavendish for the lead in that classification in the forthcoming mountain stages.To top it all off, Omega Pharma also tops the prize money table, having scooped €67,460 to date. (Thanks to inrng.com for publishing that data.) Not bad at all. It has been a good couple of weeks for the Tour’s race director, who has dealt decisively with the fall-out from two nasty crashes involving media vehicles and Alexandr Kolobnev‘s positive drugs test without allowing either to overwhelm the racing itself. This year’s race route seems to have received universal praise for its varied nature. Uphill finishes in the first week shook up the traditional sprinters’ order, and a downhill finish in the Pyrenees this week resulted in a dramatic break-and-catch as Thor Hushovd overhauled Jérémy Roy 2km from the finish in Lourdes. The parcours is packed with challenging stages, but without the succession of sadistic mountain stages which drew criticism during the recent Giro d’Italia for being too hard. 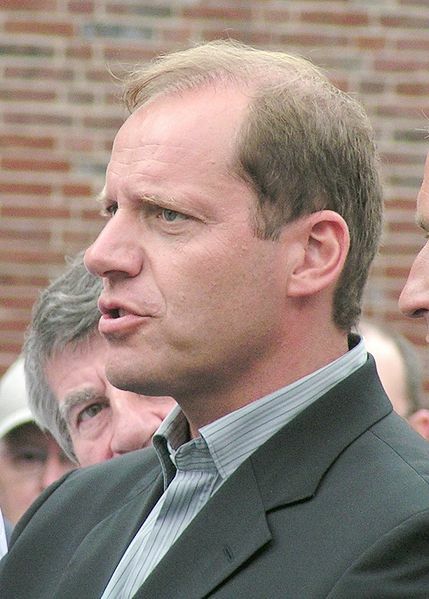 He has also overseen significant revisions to both the sprinters’ and climbers’ competitions. For me, the green jersey changes have been a huge success, tilting the balance towards the fastest men (Mark Cavendish) and away from the merely consistent (José Joaquín Rojas), while allowing a puncheur such as Philippe Gilbert to stay in contact via a combination of uphill finishes and the rejigged intermediate sprints. I am less convinced by the new polka dot jersey competition (see below), but at least it will be won by a genuine top climber and not someone who tactically accumulates points on the lesser ascents. Take your pick, really. There are 22 teams competing at the Tour, each with slightly different objectives, but several are severely underperforming and there are a couple who you could be forgiven for thinking had never shown up. Two weeks in, only eight teams have claimed stage victories so far, with HTC-Highroad (four for Mark Cavendish), Omega Pharma-Lotto (three, as mentioned above) and Garmin-Cervélo (three, including the team time trial) dominating proceedings. Others have set their bar lower, but easily met their objectives. 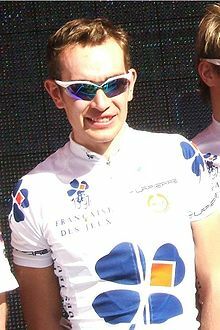 FDJ have successfully put at least one man in virtually every break so far and picked up a bucketful of sprint and mountain prizes – only Omega Pharma and Garmin have accumulated more prize money than the French wild-card selection so far. 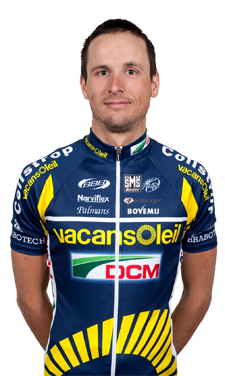 Vacansoleil-DCM have also been fairly prominent in their debut Tour, giving their sponsors valuable exposure, placing Johnny Hoogerland in the polka dot jersey and seeing him turned into a cult hero after that accident. Some teams, however, are probably wondering why they bothered. RadioShack started the race with four genuine GC riders, but only Levi Leipheimer still remains and he is a lowly 25th, already nearly 17 minutes down. Astana‘s only claims to fame are the TV coverage they received after Alexandre Vinokourov’s career-ending crash and the fact they rank 22nd and last in terms of accumulated prize money. Katusha have managed the odd minor placing here and there, but are also the only team to have lost a rider due to a doping offence. And even Rabobank, despite claiming a stage win with Luis-León Sánchez, will be disappointed that a team containing climbing talents such as Sánchez, Robert Gesink and Laurens ten Dam cannot boast a single rider inside the top 30. Roy has been a regular presence in breakaways but has precious little to show for it other than a day in the polka dot jersey and a glorious near-miss on the downhill stage to Lourdes. His futile solo break provided one of the defining memories of the past two weeks, but in the manner of all sporting near-misses it will not be long until that stage is remembered only for the fact that Thor Hushovd won it, rather than Roy’s gallant effort. Such is the lot – and the lottery – of those who try so bravely and fall just short. A Tour de France stage win could have been a defining and lucrative achievement in a career which has been long on noble effort but short on actual wins. Instead he will be consigned to the footnotes of Tour history, soon to be forgotten. That’s cycling for you. The polka dot jersey has always been the least highly regarded of the three major prizes, but changes to the scoring system this year put the focus squarely on performances in the four hors catégorie summit finishes which should at least ensure the competition will be won by one of the strongest climbers. For now, I remain dubious about the impact of the changes. My one big reservation is that the jersey will be won ‘by accident’ by a GC contender and end up being regarded as a consolation prize, rather than being something which a rider actively goes out to win. For me, the worst possible result would be if the King of the Mountains ends up also being the overall winner. Currently Omega Pharma’s Jelle Vanendert leads the classification by two points over Samuel Sánchez, with both men having finished first and second on the two HC finishes to date. With Sánchez targeting the top five overall, the polka dot jersey will probably not be a priority for him, but it will be interesting to see if Vanendert now focuses more on the jersey than on securing a high top 20 finish. Many potential polka dot winners have in the past prioritised finishing 14th or 15th over going for the mountains competition, and if it is going to be considered as a serious and worthwhile enterprise, then the best thing that could happen would be for Vanendert (or anyone else for that matter) setting it as their number one objective for the final week. If nothing else, it would ensure more attacking riding in the Alps, with the King of the Mountains being a race-within-a-race in addition to the battle for yellow. Even though the French have been able to cheer on a week (and counting) of Thomas Voeckler in the yellow jersey, this masks the fact that we have yet to see a home rider win a stage at this year’s Tour. Last year we had no fewer than six French winners – the host nation’s best haul since 1997 – which initiated celebrations of a home renaissance. There have been three near misses so far – Romain Feillu (stage three), Voeckler himself (stage nine) and Roy (stage 13) have all finished second – but unless a Frenchman wins from a successful break on one of the next two stages, the return this year is likely to be zero. Which would be a real shame, as the Tour needs French successes in the same way Formula 1 relies on Ferrari being competitive. Of course, all that would be rendered irrelevant in the (highly unlikely) event of Voeckler triumphing in Paris, but it is curious that the French have gone from boom to bust within 12 months. It may seem odd to classify a first-year team which has its leaders Fränk and Andy Schleck currently sitting second and fourth overall – and includes fan favourites Jens Voigt and Fabian Cancellara – as a ‘loser’, but it is difficult to escape the feeling that Leopard-Trek have underperformed over the past week and lost a lot of friends in the process. With defending champion Alberto Contador on the ropes and suffering from knee problems, the team has twice driven hard in the Pyrenees to isolate the other favourites from their teammates and allow the brothers to hit them with one-two combination attacks. Only on both occasions the Schlecks have shown an unwillingness to risk the big attack which could truly crack the general classification open and eliminate Contador from contention completely. The net result has been a huge effort by their team leading to a series of half-hearted accelerations, none of which has lasted more than a dozen or so pedal-strokes. 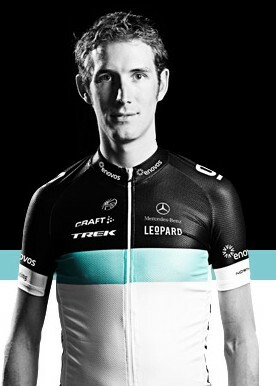 For all that great work by the likes of Voigt, Andy has gained two – count them, two – seconds over most of his rivals. It may well end up being a successful strategy which wins one Schleck or the other the Tour. But for riders of such ability, it is a desperately dull and business-like way to win which lacks any flair whatsoever, and which is alienating neutral viewers in their droves. I find myself hoping that someone – even Contador, who I am not a fan of – gives them reason to regret their conservative approach in the final week.